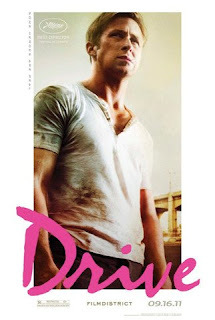 Sony Pictures Home Entertainment has announced that DRIVE starring Ryan Gosling, Carey Mulligan and Bryan Cranston will hit Blu-ray and DVD on January 30th, 2012. No artwork was available at this time so we'll keep you posted. The only extras will be featurettes ("Drive Without A Driver: Entretien Avec Nicolas Winding Refn", "I Drive", "Under The Hood", "Driver and Irene", "Cut To The Chase").